Question: How’re you doing today sir? DAN LAUSTSEN: I’m doing fine. Like everyone here, I’m a fan of your work. LAUSTSEN: Thank you very much! I hope Chad, the director, is as well. He is not a fan of your work. (laughs). I was being serious. One of these things that’s amazing about the digital cameras now is that you can shoot in all sort of different light conditions, with natural light and make it look – what you can do now with cameras is crazy. LAUSTSEN: I think cameras are just a tool. You have to decide what the look of the movie is going to be. That has nothing to do with if you shoot it digital or film. It’s going to be the same kind of, telling the story with the light and the camera angles. Of course, some stuff is easier in the digital world because you have so much more control over post. I think it doesn’t matter so much what kind of camera you’re shooting on, you have to figure out what the look of the movie is going to be. What has the digital camera allowed you to do with natural lighting, that maybe you couldn’t do before? LAUSTSEN: I don’t think I’ve done anything with natural lighting. I think I have done a lot with color separation and color look. 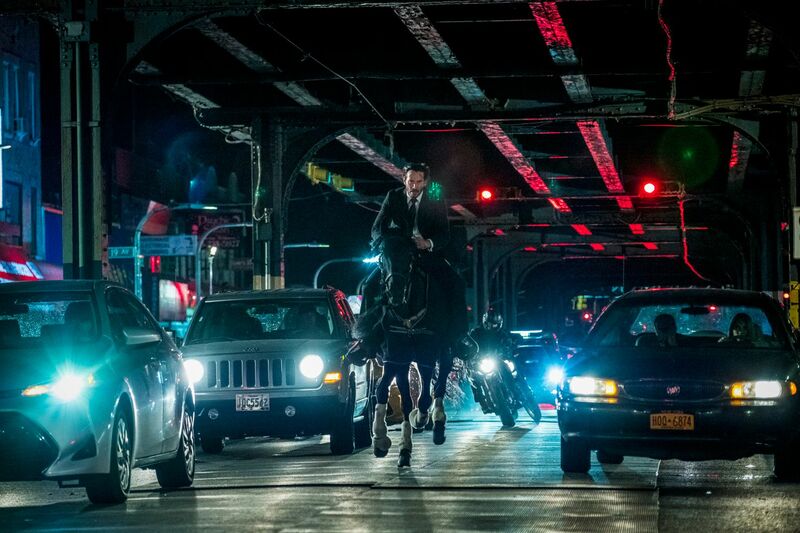 It’s easier to make a very colorful looking movie, as we’re doing with John Wick. We’re putting a lot of colors in. You see the way we are shooting right now, you know, we have such high quality monitors. It is easier to control the look of the movie and the color look. I don’t think it’s such a big deal, in the daylight situation. I think it’s much more, when you’re inside and you’re playing around with color. For me, it’s easier to do it. It’s just when you’re working with it you have a much better feeling about how the movie is going to look. But it’s just a tool. You can do more or less the same movie on film if you want to do that. It’s just that we decided to go in the digital world. That worked for testing for John Wick 3, and for John Wick 2. Do you see this movie as an evolution from the second movie? Or a continuation? LAUSTSEN: Well, you know, of course the accent is the same, but it’s a new story. You’re trying to change it a little bit and make it more powerful, and try to go into a new world. 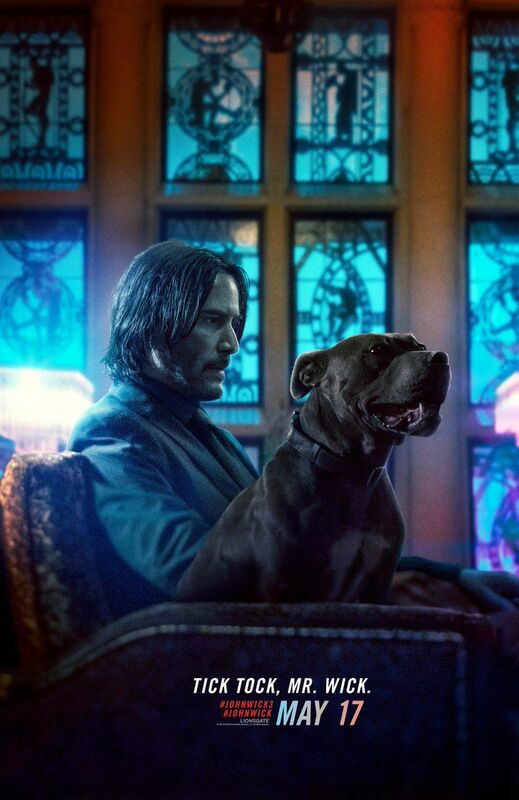 But of course, it’s still John Wick. It’s still Keanu and it’s still Chad. We try to make it even better. That’s what you should do on number 3. It should be better than number 2, and better than number 1. That’s what we’re trying to do. How do you handle a glass set like this? LAUSTSEN: Well, you know, Chad had this fantastic idea about putting a glass house and everyone was like, well, “how are we going to do that?” (laughs). Now we are here and it’s amazing. When you’re standing inside the glass house you feel like, it’s 25 floors in Manhattan, and that’s amazing. Of course, a lot of challenges because you have a lot of reflections and all, but that’s handable because you can do that in post and paint stuff out. But it’s just to get an idea, to have a feeling of how it should look, I think that’s the challenge because it’s so great. It’s really cool, it’s fun. 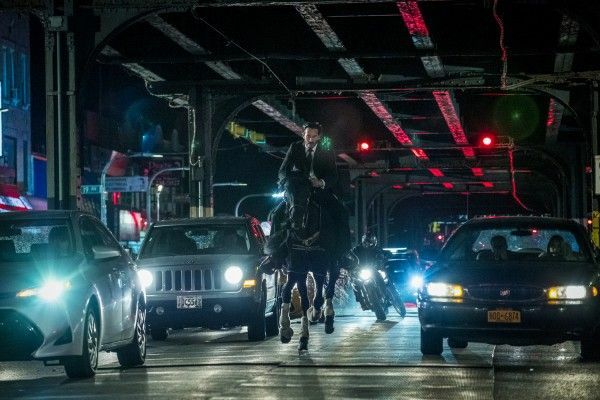 How challenging is it for you to portray New York as a different city, because it has been filmed many times? LAUSTSEN: We try to gel it much more contrast, and much more colorful. We are playing a lot with rain. We try to do it more, as you see, the old fashion New York. We try to move away from the slim line New York. We try to do it more atmospheric, with rain and smoke. A lot of rain, that’s for sure. And that’s fantastic. It’s painful to do, but it looks so amazing. We do that a lot and it’s really cool.